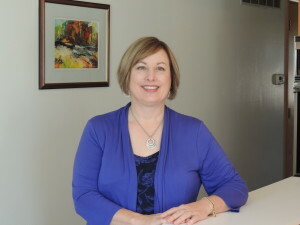 Gale Hall is not only Dr. Bob Hall’s wife, she is also the office manager of Naturally Healthy Family Medicine and the first person patients speak with when they call or visit. She is attentive, knowledgeable, patient and truly caring. She understands that new and even established patients may have lots of questions about homeopathic health care, since she once had plenty of questions herself! Gale was born and raised in Baltimore and after completing her bachelor’s degree in music education, taught for several years in Maryland. She enjoys playing both piano and guitar. She studied human resource development in graduate school and also trained in tax preparation, proving, once again, that musicians make good mathematicians! “My goal is to help all patients feel welcome and cared about when they come into the office or call on the phone, including those times when they are in between visits,” she explains. 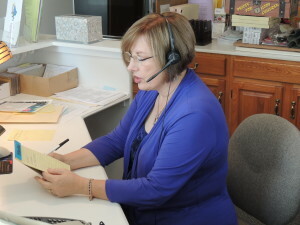 “We want patients to feel comfortable calling any time they have questions or concerns. If I can’t help them, I’ll refer them directly to Dr. Hall. He’s happy to answer questions between visits and encourages patients to call us rather than waiting until their next visit.” She advises that a phone call is best if a patient needs a response quickly or has a rather complex question. Otherwise, patients are invited to email Gale at Gale@naturallyhealthyfamilymedicine.com or Dr. Hall at DrHall@naturallyhealthyfamilymedicine.com if they have simple questions and prefer to communicate that way.